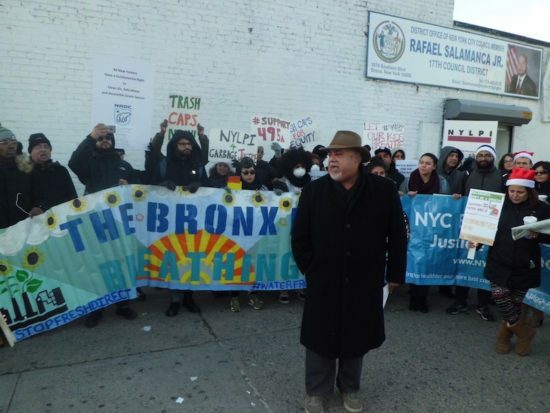 Fearing that years of effort to limit the amount of garbage trucked into Hunts Point and Port Morris was about to be lost some 70 local and environmental activists rallied at Councilman Rafael Salamanca’s District office in Longwood on Dec. 19 to urge him to get behind legislation to share the burden of waste disposal. During his campaign, the president-elect vowed he would terminate the Deferred Action for Childhood Arrivals program, which provided work papers, and eliminated the threat of deportation, for some undocumented students. 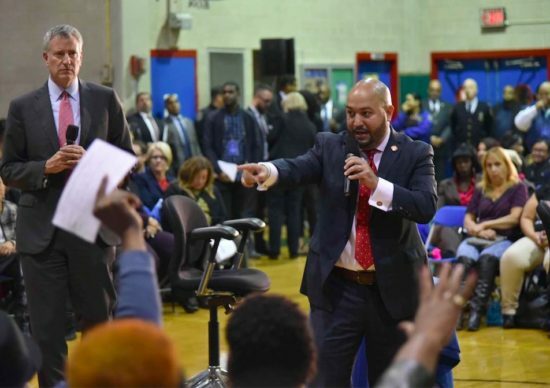 Board 2 voted in longtime board member and Hunts Point native Ralph Acevedo as its new district manager. Throughout the evening, the mayor tried to calm residents’ anxieties over the scarcity of affordable housing. Venezeuela’s foreign minister made a stop at The Point in September to commemorate the 10th anniversary of former Venezuelan President Hugo Chavez’s visit.